I finished a new collage this week. My inspiration for this one came from my week-long course at Ocracoke in March with NCCAT (North Carolina Center for Advancement of Teaching). The seminar topic was sea level rise and the impact on the coast. 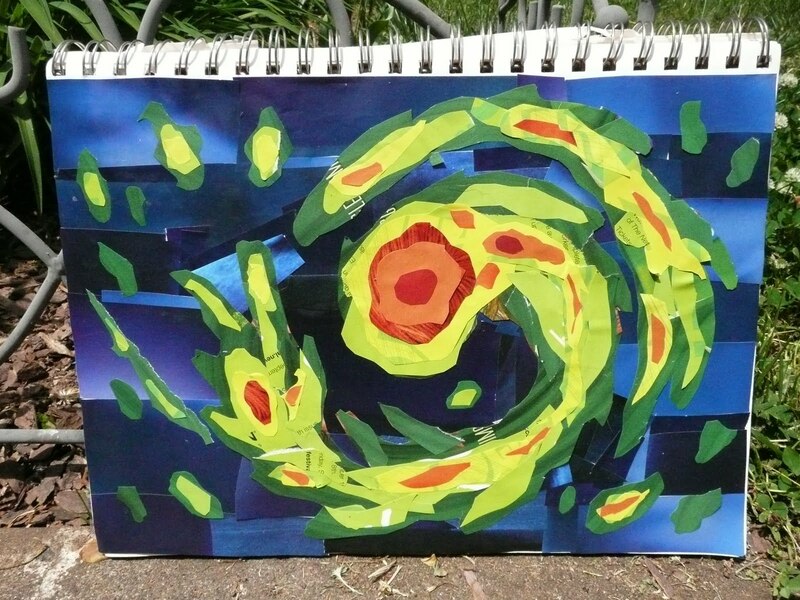 One of our speakers discussed hurricanes and I started drawing a radar image of a hurricane in my sketchbook. Thus, this collage was born. Hurricane, collage on paper, 8 x 10″, 2010. When I first saw this piece, I thought it looked like a galaxy. The spiral arm, the nucleus, the broken pieces, make it appear as someone's home galaxy.